Listen as the breeze blows by and rustles the palm trees. Smell the fresh fish on the grill. Taste the flavors of the Caribbean, like coconut and rum, in your daiquiri. This is island living at its best. 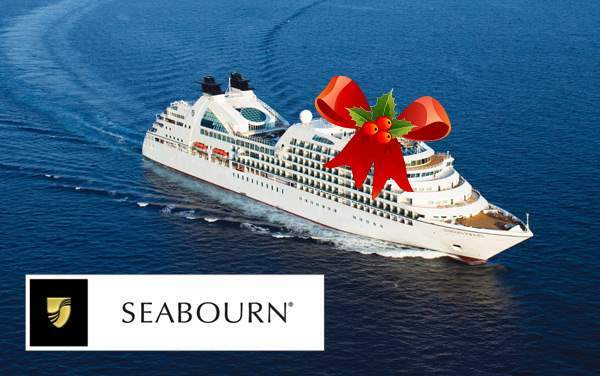 Seabourn journeys to the Southern Caribbean on a variety of cruise itineraries. 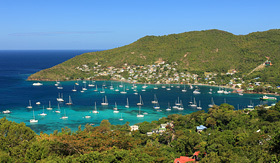 The Southern Caribbean is comprised of warm islands that are closer to South America than the others in the Caribbean, islands like Aruba and Dominica. These islands not only offer amazing beaches, they also have incredible flora and fauna. On your visit you’ll stroll through jungles while stopping off at waterfalls. 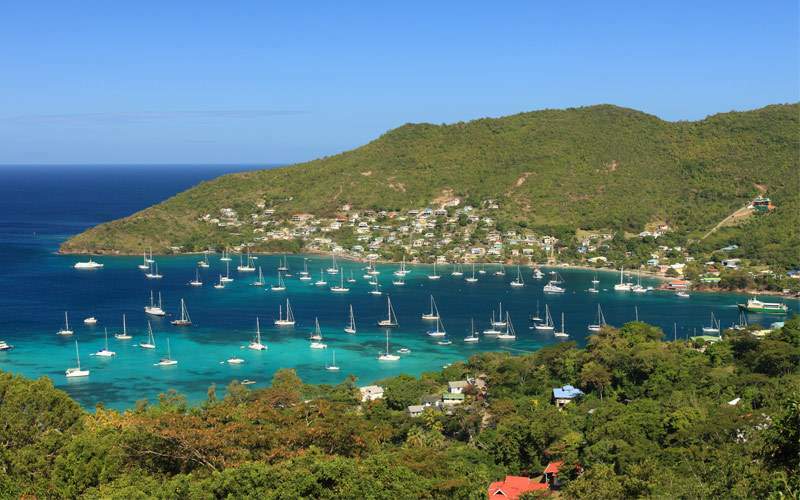 The majority of Caribbean cruisers head to the East and West, making the Southern Caribbean the perfect spot to stretch out and see island life without the crowds. 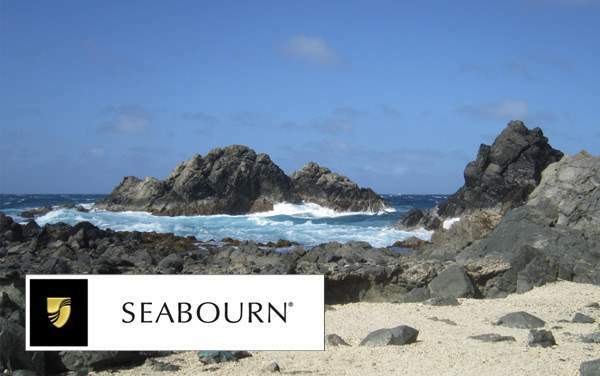 The southern Caribbean is waiting for you to come and explore with Seabourn. 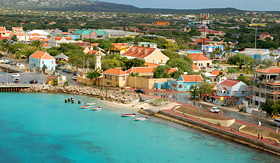 Here you can snorkel through schools of fish, swim with a dolphin and delve into the Hato Caves in Curacao. Take a trip out to the Butterfly Farm where you’ll get to spend some time with the transformative creatures. Here you’ll find butterflies from all over the world. Then you’ll travel to the Aruba Aloe Balm facility. Here the aloe plant gets turned into the lotions and creams we use to sooth sunburns and smooth our skin. Your last stop will be at the natural land bridge, which was formed by the waves crashing against the coral coast. 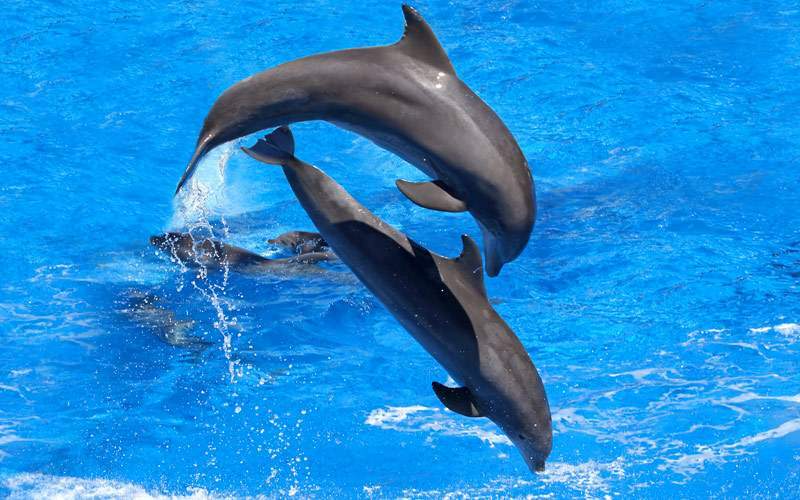 Learn about dolphins, one of the smartest mammals in the world, then head out into the water where you’ll get to spend some time getting to know this species better. 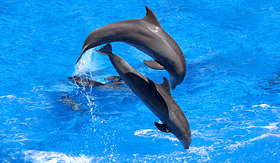 In their pool you’ll play games with the dolphins, ride on their dorsal fins and even get a kiss from these slippery yet cute creatures. 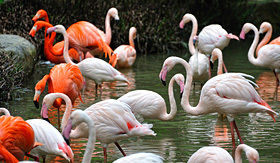 These skinny pink birds, known for their ability to balance on one leg, make their home in Bonaire. On this trip you’ll be on the lookout for them as you tour the island. 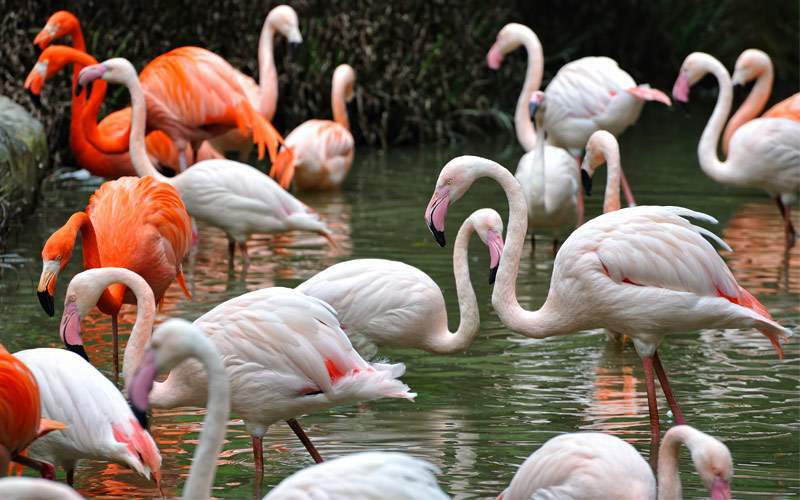 You’ll drive through mangroves then to Sorobon Beach where you can dip your feet in the water and then head to the salt flats, a hotspot for the gracefully tall flamingos. Here you can see how salt is produced and learn the island’s history. Head out via catamaran to the Moon Hole, an area with interesting rock formations. Here you’ll get in the water and snorkel through schools of fish and other wonderful sea creatures like shellfish and sea fans. Then you’ll get back on the catamaran and enjoy some rum punch while you ride back to the island. 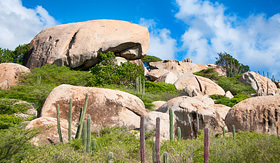 Travel around Aruba in an air conditioned motor coach, stopping at several of the sights. 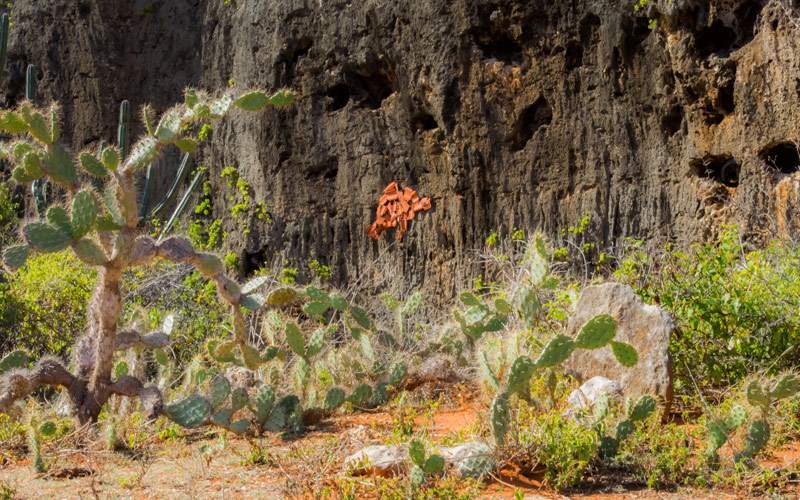 You’ll see the unique divi-divi trees, iguanas and maybe a wild goat. You’ll visit the Alto Vista Chapel where it is believed that the Spanish converted the locals to Catholicism. 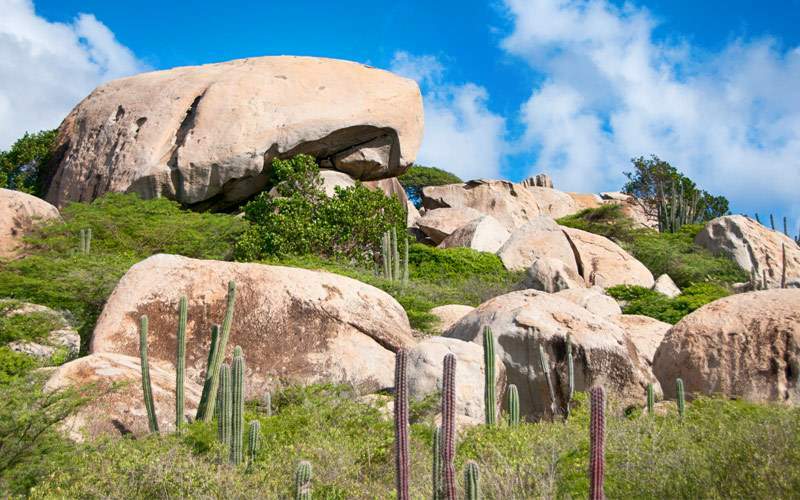 You’ll drive past the ruins of the natural bridge and view the Casibari Rock Formations. 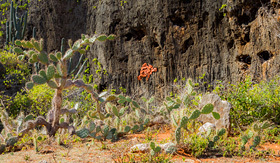 The Hato Caves are limestone formations that have impressive stalactites and stalagmites. They are also home to long-nose fruit bats. 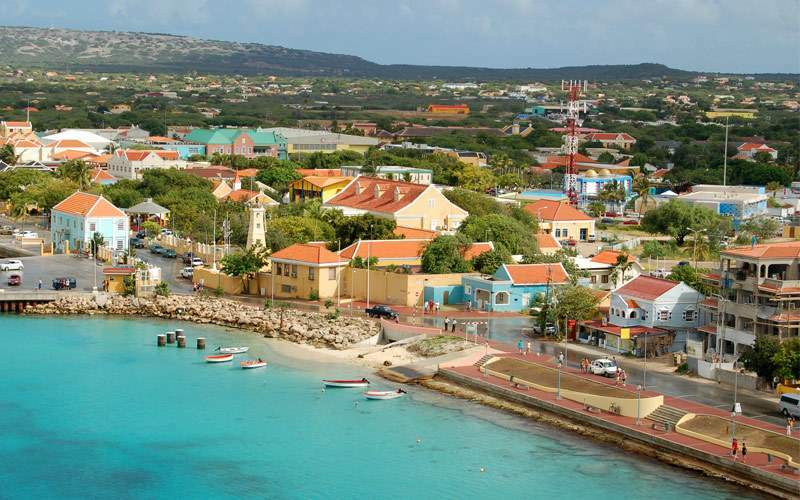 Enjoy the caves then take a walking tour through Willemstad, passing by floating fruit and vegetable markets, colorful merchant houses and then onto Fort Amsterdam. Fort Amsterdam is the home of the Governor of the Netherland Antilles. You’ll cross the floating drawbridge and visit the Riffort area where there are lots of shops to peek into. 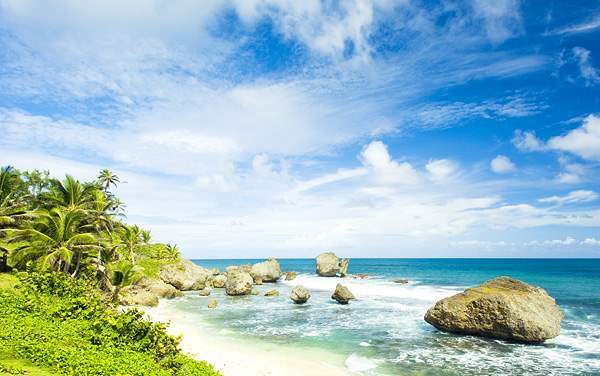 Barbados, where the weather is impeccable, the beaches are beautiful and the food is fantastically fresh. 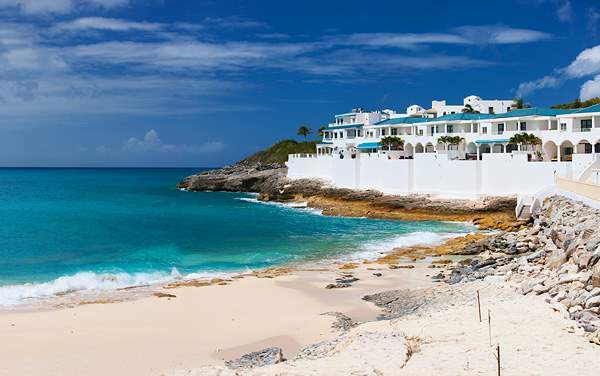 Offering both French and Dutch experiences, St. Maarten is a leading destination in the Caribbean. You can always find exciting and interesting activities for everyone on this friendly island. 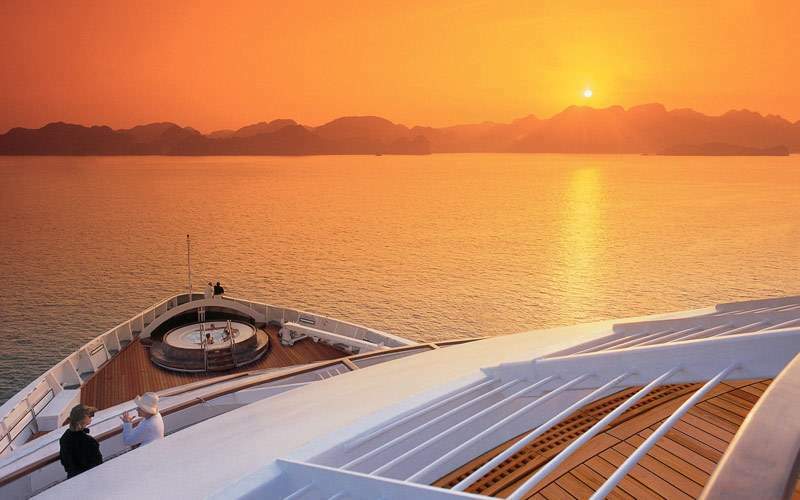 Browse our photo gallery of Southern Caribbean cruising photos from Seabourn. Keep in mind, this is just a sample of the sights waiting for you on a luxurious Seabourn Southern Caribbean cruise vacation. 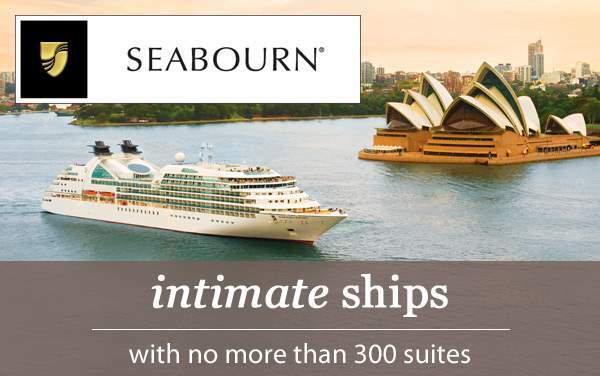 These pictures are beautiful, but they don’t come with the warmth of the sun or subtle sea breeze; for that you’ll have to book a cruise to the Southern Caribbean with Seabourn.